Seth is has channeled his extensive knowledge of influencing large-scale change, innovation, growth and strategy in associations and the private sector to bring you these bestselling business books. Change and innovation are not just cool. They are business requirements in today’s disruptive environment. 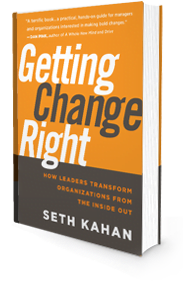 Getting Change Right; The definitive strategy guide for how leaders transform organizations from the inside out. Filled with techniques, templates, and guidelines, Getting Change Right is first and foremost a practitioner’s guide to implementing change. Each chapter contains candid conversations with star change agents and thought leaders like John Kotter, Jim Wolfensohn, and Steve Denning. 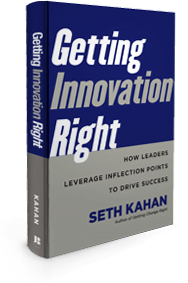 Getting Innovation Right; How leaders leverage inflection points to drive success. The book provides templates, step-by-step instructions, techniques, tools, and practical guidance on how to do the very things that maximize your innovations chances of success in the market. 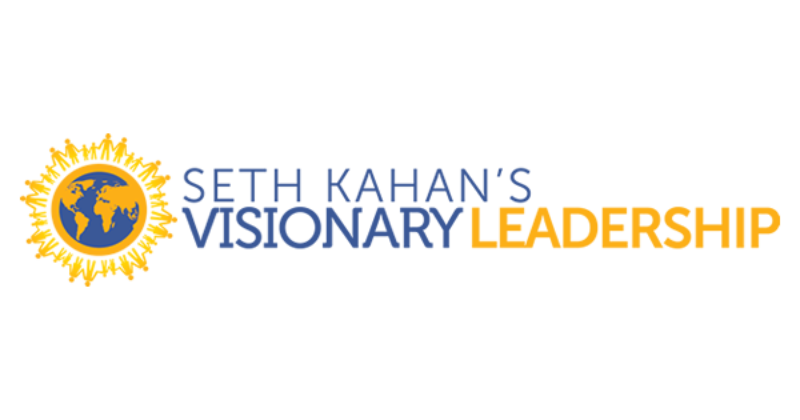 Look for his next book Grand Challenge: How Leaders Grow their Businesses by Addressing the World’s Most Intractable Problems, written in collaboration with Julie Jordan Avritt. @PeterGleick @united @PeterGleick ...banned on domestic flights 2 hours or less beginning ‘88, all other flights by 2000.